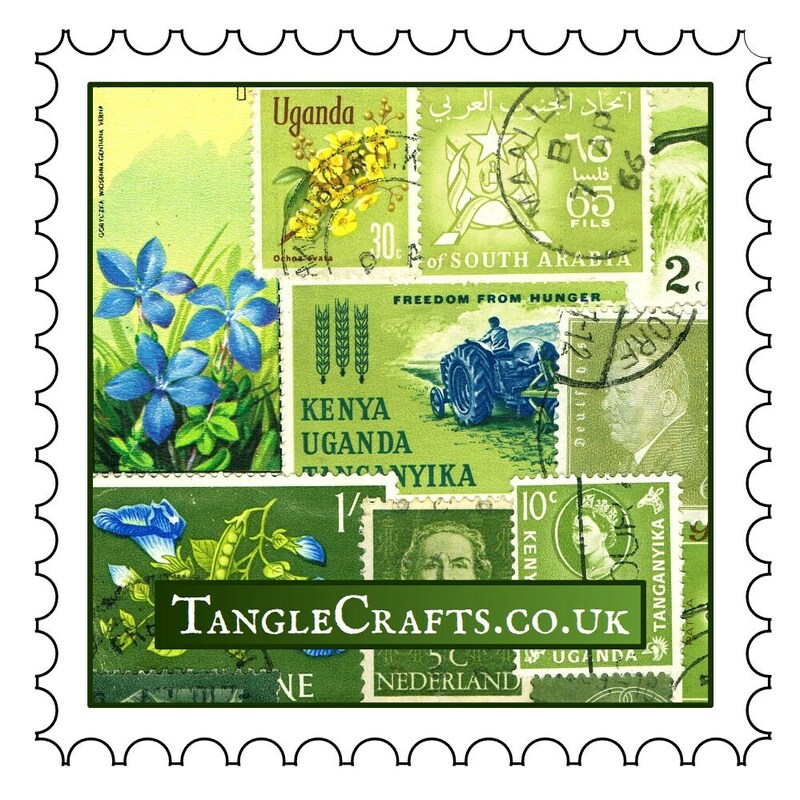 The stamps still bear fragments of postmarks and other cancellation marks as a testament to their former active service for the Dutch postal service, creating an artwork rich in both colour and character. 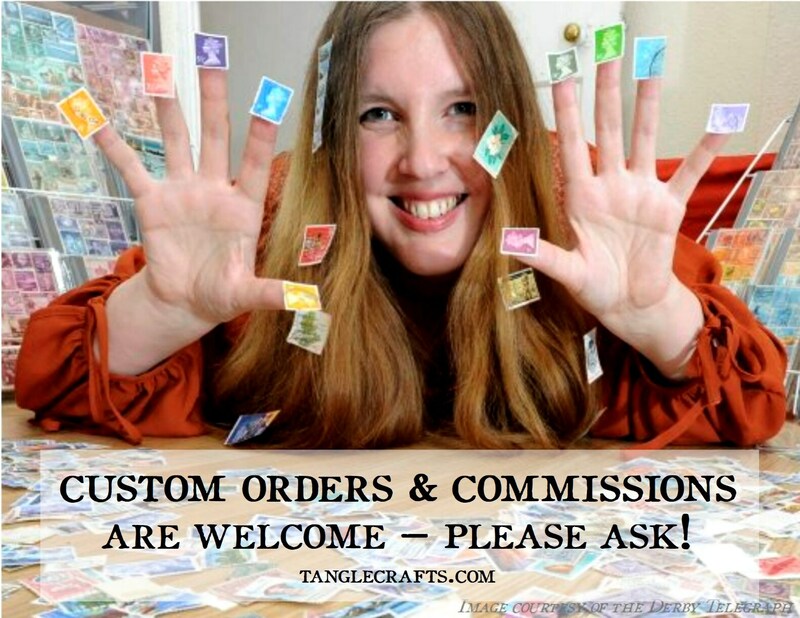 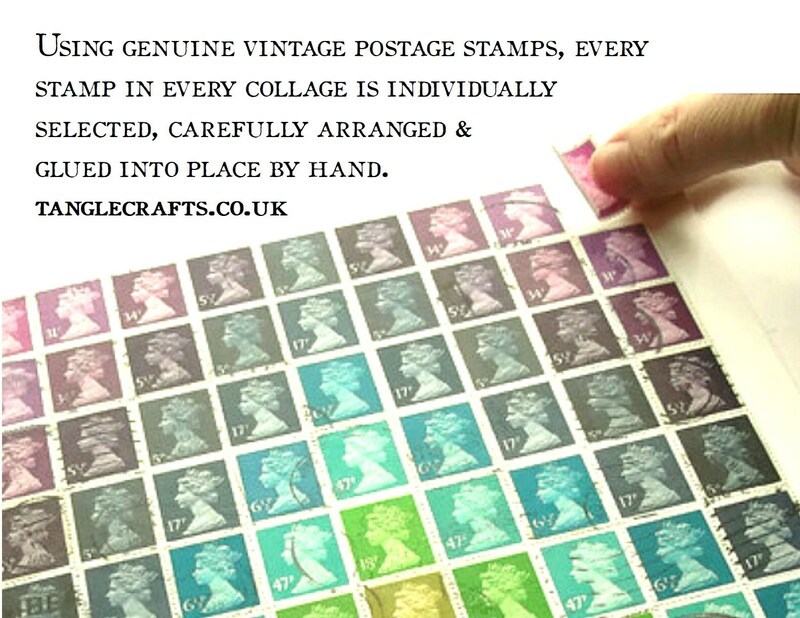 The postage stamps are first soaked from their original envelopes, dried, then individually glued into place by hand onto a sturdy A4 mountboard (using an acid-free, xylene-free adhesive). 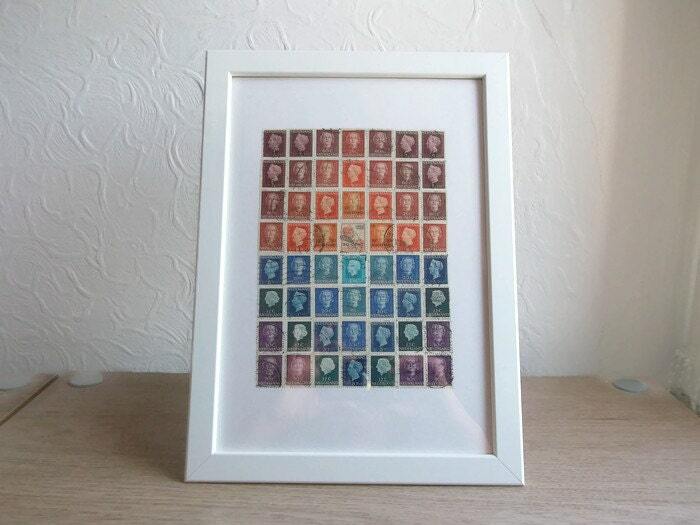 The reverse of the piece will be hand-stamped, numbered and signed by the artist, Su Mwamba. 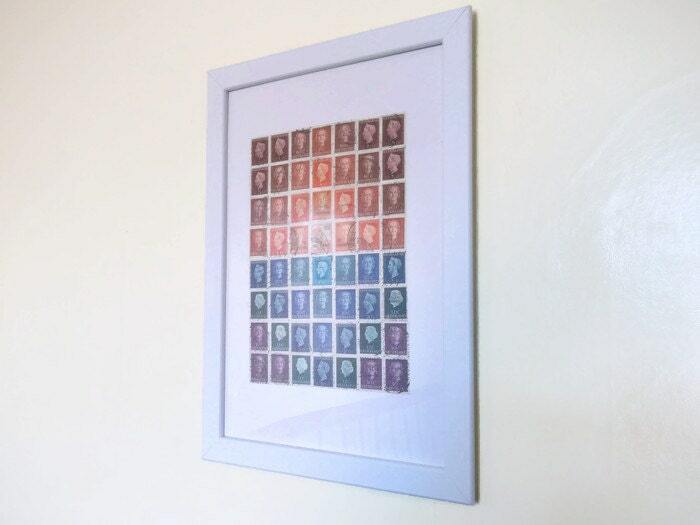 The mosaic-style design uses a combination of upcycled definitive postage stamps from the Netherlands in 12 different colours/denominations, dating from the 1910s through to the 1970s. 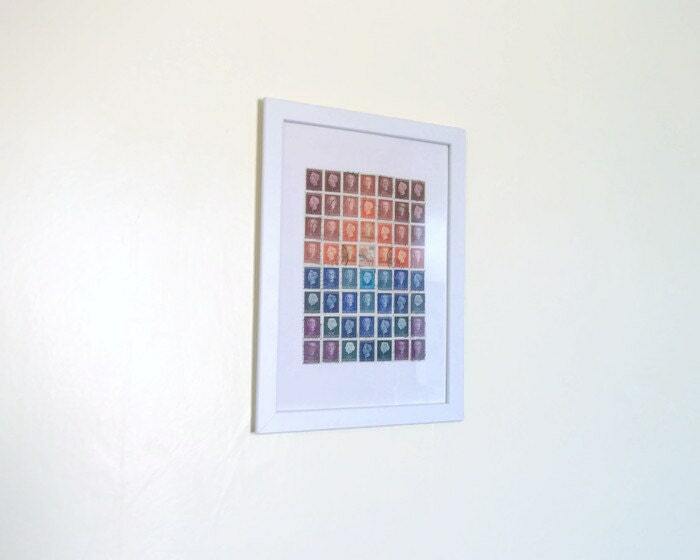 I have made every effort to represent the colours as closely as possible, but please remember that what you see may vary due to the differences in colour representation on different computer monitors/screens. 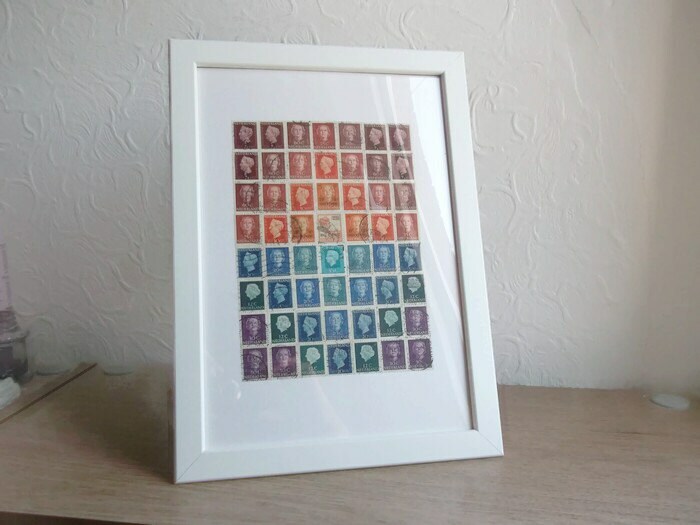 The central 2 stamps represent the earliest and latest periods within the collage: Queen Wilhelmina on a Netherlands East Indies stamp from 1915, and Queen Juliana on a Netherlands stamp postmarked 1973. 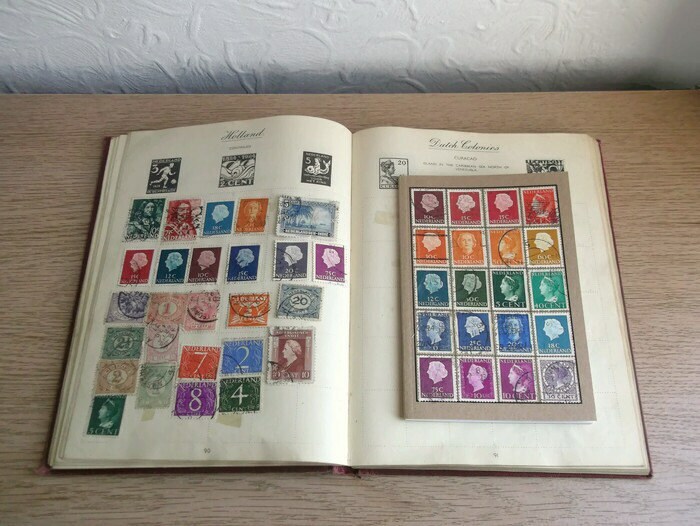 The majority of stamps within the collage are from the 1940s, representing the final years of Wilhelmina's reign and the accession of Juliana in the 1949.